Klasse All in One Polish was first introduced in 1979 and it forever changed the way that paintwork gets polished. 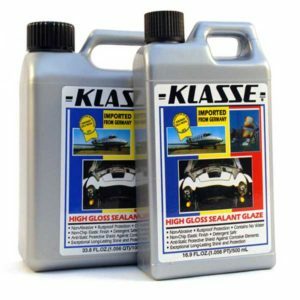 The claims made regarding its ease of application, non-staining formula, and impeccable results drew an expected amount of skepticism in the early days of Klasse, but those doubts were quickly squelched once the detailing community put All In One Polish to the test. Klasse All In One Polish offers incredible results that last as long as six months. This unique formula dries just as quickly as it’s applied, so application is quick and easy with no risk of streaks or hazing. 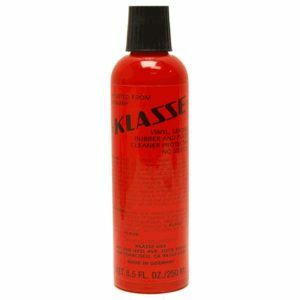 Klasse All In One Polish cleans as you apply it, removing light oxidation, minor swirl marks, old waxes, and other minor surface defects. 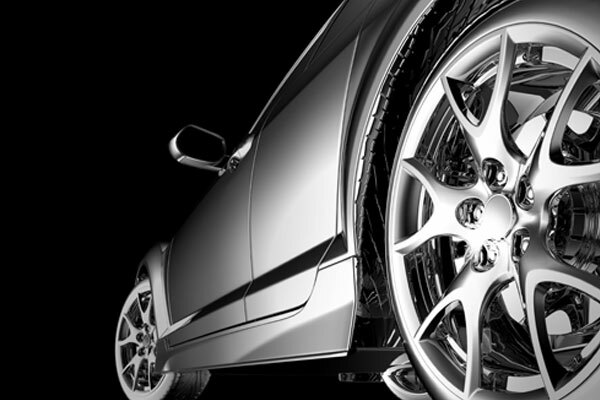 Since it is non-abrasive and does not contain any silicones, it will not stain plastic, vinyl, or rubber trim pieces. 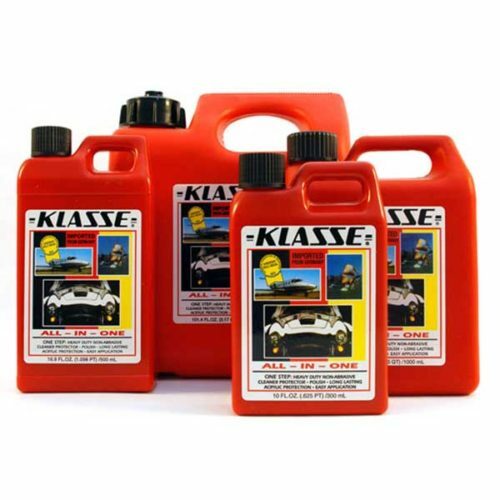 Klasse All In One Polish is so versatile, it can be used on virtually any nonporous surface including fiberglass, gel coat, metal, glass, plastic, marble, vinyl, painted surfaces, and more—it’s even approved for marine and aviation use!